Professional, Safe & All-natural lice removal in Miami. We provide the best lice treatment in out treatment centers or in the comfort of your own home. We are Rated #1 lice removal Experts! At our head lice treatment center in Miami, we treat both children and adults. While lice tend to occur frequently in children of school going age, it’s just as likely for a fully grown adult to contract them. There’s an unpleasant social stigma that surrounds the concept of a lice infestation, and that can make it a very difficult ordeal, especially for young children. At Lice Busters, we don’t play the shame game. Becoming a victim to these parasites is just as normal and common as your regular cold! While lice infestations are usually unavoidable, early detection can prevent the further spread of the blood sucking parasites. For this purpose, we offer screenings and detection services to schools and summer camps. 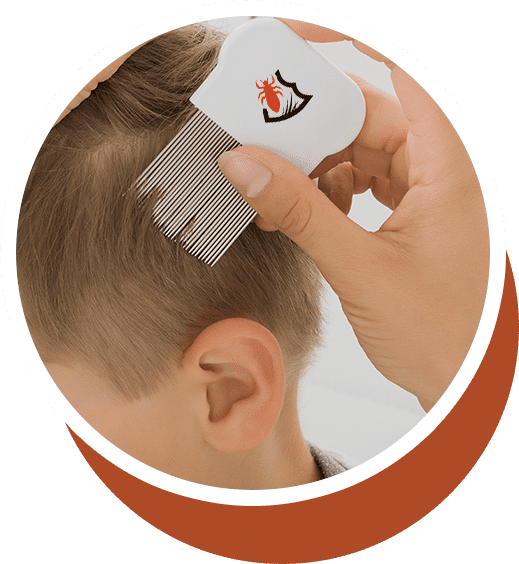 These two settings are quite the popular hotspots for lice infestations, as putting a large number of children in close proximity makes it easy for lice to make their way from one host to another and thrive comfortably. Once nits have been detected, our lice removal services are at your disposal! We ensure that every inch of hair is checked, leaving no room for any survivors. Call our lice treatment clinic at your convenience to book an appointment! Call us at 800-748-9451.